To provide a comprehensive array of training and professional development opportunities to child welfare staff and stakeholders. Stakeholders include foster parents, mental health providers, various medical and educational professionals, law enforcement and other legal professionals, as well as child welfare staff. 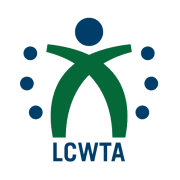 The Louisiana Child Welfare Training Academy was established in the Summer of 2014 and is housed at Southeastern Louisiana University. The Academy will ensure that child welfare staff and stakeholders will have a fundamental and common base of knowledge and skills necessary to effectively intervene within the child welfare system. Would you recommend The Louisiana Child Welfare Training Academy?